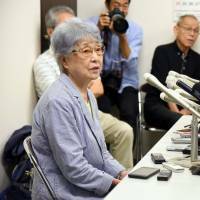 “For us (relatives of abductees,) we are pleased that we have finally come this far,” Sakie Yokota, 82, told reporters who gathered at a small meeting hall near her home in Kawasaki, hours after the end of the meeting between U.S. President Donald Trump and North Korean leader Kim Jong Un. 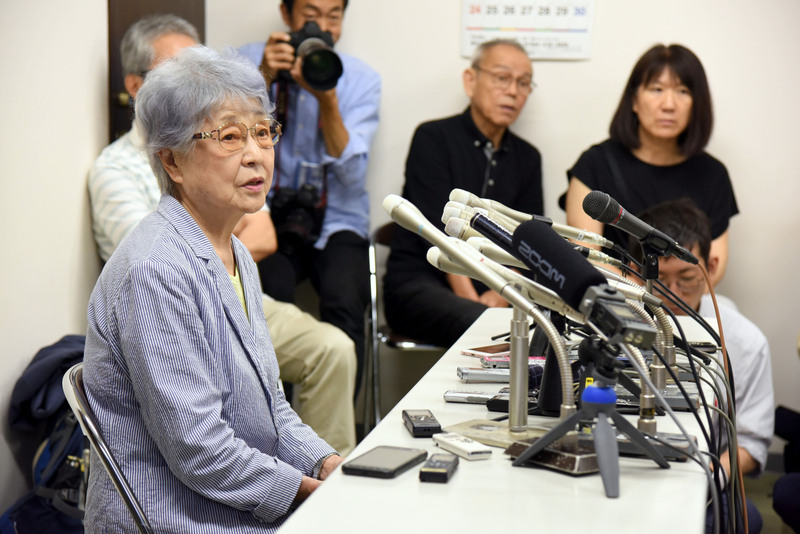 “We wish for the Japan-North Korea relationship to recover soon, and sincerely hope that victims (of abductions) return in good shape,” added Yokota, whose daughter, Megumi, was 13 years old when she was kidnapped in 1977 while on her way home from school in Niigata Prefecture. At a news conference after the meeting, Trump said he had discussed the abduction issue with Kim, although it was not included in a joint document signed by the two leaders. “I am not pessimistic … I knew things wouldn’t be that easy,” Yokota said, adding that she hopes Prime Minister Shinzo Abe will meet with Kim and discuss the abduction issue as soon as possible. Abe reiterated Tokyo’s willingness to hold its own summit meeting with Kim to negotiate first-hand the return of abductees. “The abduction issue is a bilateral matter that Japan ultimately has to solve under its own responsibility and negotiate with Pyongyang,” Abe told reporters after the Trump-Kim summit, adding that Japan will make “utmost efforts” to put the decadeslong row to rest. “We have watched this historic U.S.-North Korean summit with enormous hope,” said Shigeo Iizuka, the head of a group representing abductees’ families, during a TV interview earlier in the day as he waited for news to trickle out from Singapore. “I believe this is the now-or-never chance to solve the abduction issue involving Japanese … I want our government to use this opportunity effectively and set up a concrete schedule for the (abductees’) return as soon as possible,” said Iizuka, 80, whose younger sister, Yaeko Taguchi, was kidnapped by North Korean agents in 1978 when she was 22 years old. Yokota, Iizuka and other abductees’ kin met in November with Trump during the president’s visit to Japan. Tokyo officially recognizes 17 people as having been abducted by North Korea in the 1970s and 1980s. Five were repatriated in 2002, and Pyongyang — which claims that the issue has been settled — says that eight, including Megumi Yokota, have already died, and that the other four never entered its territory. North Korea has criticized Japan’s repeated insistence on discussing the issue as “a mean and foolish behavior to stem the trend of peace on the Korean Peninsula at any cost,” according to North Korea’s state-run Korean Central News Agency. The issue has remained a major hindrance to efforts by the two nations to normalize diplomatic ties. Is Tokyo's commitment to abduction issue a diplomatic stumbling block?